Le Jardin Academy is a nurturing learning community with nearly 800 students from Preschool to Grade 12. Students learn to value the diverse perspectives of other people and cultures to lead balanced, healthy lives and to appreciate the arts within a rigorous academic environment. We believe that extraordinary teachers and dynamic learning experiences empower students’ unique talents and create academic success, thus providing a rewarding childhood. The goal is to develop knowledgeable, responsible, and caring young people of character. An LJA education prepares students to create a more peaceful and sustainable world through understanding, stewardship, and respect. As an International Baccalaureate (IB) World School, Le Jardin Academy develops confident, knowledgeable, responsible, and caring young people who are empowered to become impactful future leaders in the world. We believe in educating the whole child academically, physically, socially, and emotionally through constructivist approaches, self-directed inquiry, and individualized instruction. Students focus on learning of concepts and skills through inquiry into local and global issues of today. This approach enhances student engagement and promotes lifelong learning. LJA provides a continuum of education, consisting of three programs: Primary Years Program, Middle Years Program, and Diploma Program. These programs are united by the International Baccalaureate (IB) philosophy, approaches to learning and approaches to teaching. The IB framework encourages achievement and challenges students to excel academically, as well as personally. From Pre-Kindergarten to Grade 12, students enjoy broad exposure to visual and performing arts as an integral part of the curriculum. PK to Grade 5 students experience Art and Music with specialists. Middle and High School offerings also include Visual Arts, Chorus, Drama, and Band. Each year, students are honored with various art awards both locally and nationally. In 2018, two students were the winners of the prestigious Scholastic Art & Writing Award. National medalists represent less than 1% of the 330,000 submissions. 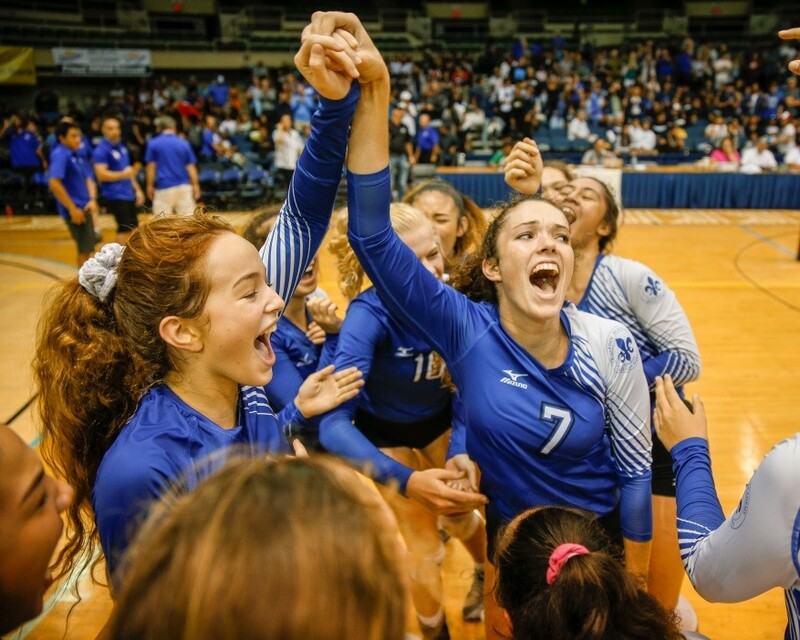 Interscholastic athletics are an integral part of the educational process at LJA. Our aim is to develop a competitive athletic program highlighting values such as sportsmanship and life- long healthy habits. Le Jardin Academy is a member of the Interscholastic League of Honolulu (ILH) and the Hawaii High School Athletic Association (HHSAA). It is a requirement of the Diploma program curriculum that every student learns at least one additional language. Learning another language not only opens your eyes to an entire new culture, but it also reveals new insights about you and your own culture. We believe that school is much more than just a place of study - it’s also a community where students will develop self-image and self-esteem, set goals, and cultivate talents. Because student interest drives clubs and activities, extracurricular life at LJA is rich and diverse. Whether you want to explore a talent, serve the community, bolster your academic profile, or just meet new friends, there is something for everyone and everyone has something to offer. We offer more than 40 different opportunities beyond the classroom that allow students to explore specific interests and give back to the community. 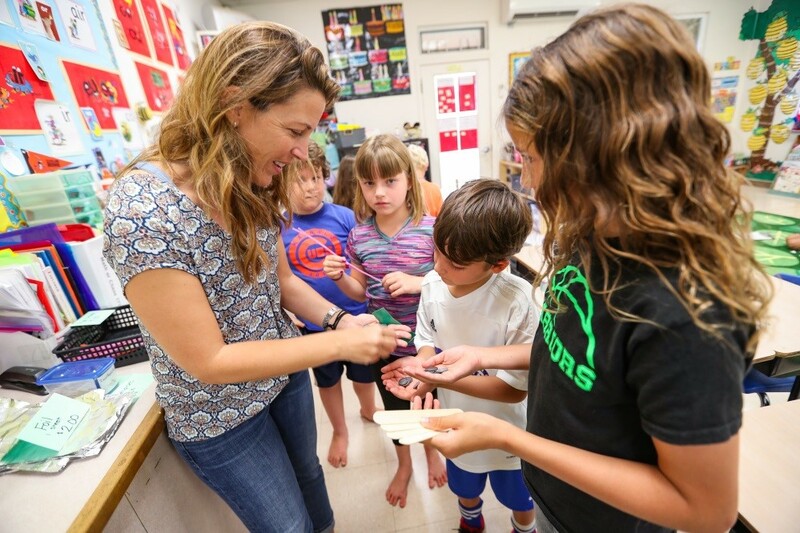 From student ambassadors to outdoor exploring with the Wild Kids Hawaii, there is an extracurricular activity that appeals to everyone. If we do not offer a club or activity that interests a student, we encourage that a new one be created. Some of the club and extracurricular activities we offer at LJA include: Student Council, Reading Club, LEGO Creations, Geography Club, Model United Nations (MUN), Girls on the Run, Polynesian Club, Wild Kids Leadership Academy, Yearbook, and much more! 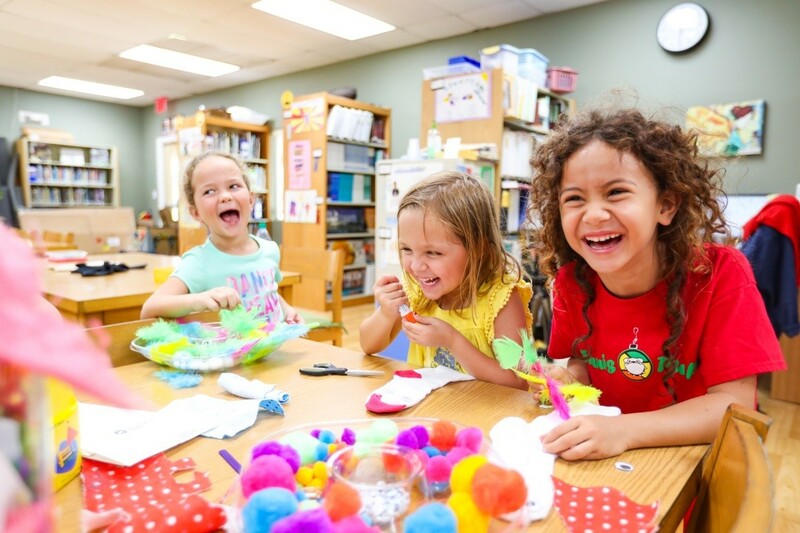 Le Jardin Academy’s history began in 1961 when Madame Henriette D. Neal, a native of France, opened Le Jardin d’Enfants (the Garden of Children) as a one-room preschool in Kailua with merely 12 students. The following year, a Kindergarten class was added, and then a new grade nearly every year, so by 1968, LJA provided primary education to over 100 students from Pre- Kindergarten through Grade 6. Madame Neal served as the school’s Director and Board President until her passing in 1973. In 1975, James M. Taylor, became LJA’s new Headmaster. At the time of Mr. Taylor’s appointment, LJA had grown in size to 195 students, which called for the school to expand to leased facilities at three contiguous churches on Kailua Road: St. John’s Lutheran, Kailua United Methodist, and Kailua Baptist. During the 1977-78 school year, Le Jardin added a 7th grade which was followed by an 8th grade class the next year. Steven E. Switzer, a preeminent figure amongst independent schools across the country, was appointed Headmaster of LJA in July 1985. 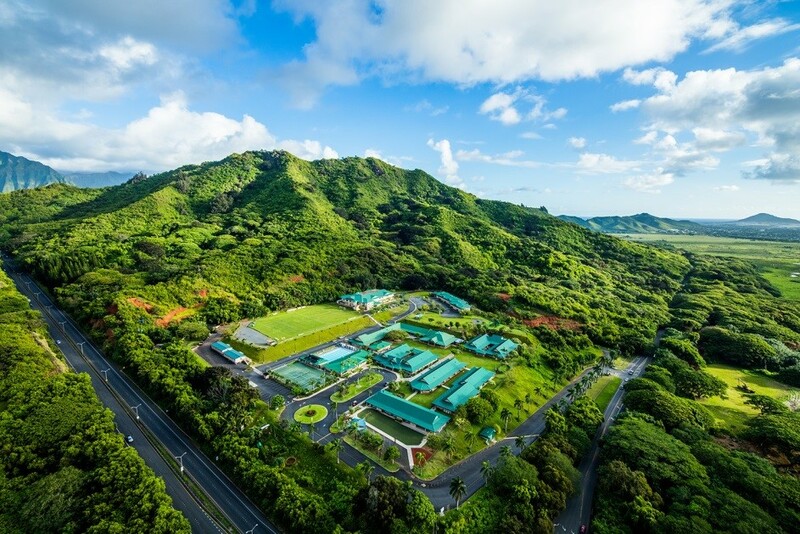 In 1992, LJA merged with The Windward Preparatory School, and enrollment reached 462 students. In the fall of 1998, Adrian G. Allan became LJA’s fifth permanent Headmaster. In an effort to unify Le Jardin’s three separate campuses, the Harold K.L. Castle Foundation generously gifted a 24-acre parcel of land on Kapa’a Quarry Road to LJA. Development of the new location commenced in 1999, and included five buildings housing Kindergarten through 8th grade, an Administration building, a resource center, and specialty rooms. LJA opened its new campus for the 1999 school year. Other major improvements that occurred throughout the year included the construction of a basketball court, swimming pool, locker rooms, and playground, the installation of a computer room, and landscaping the beautiful new campus. In 2000, LJA’s Board of Trustees unanimously voted to start a high school and raised over $3,000,000 for this purpose. In August of 2002, LJA opened its high school with 50 students in grade 9. By the 2005-06 school year, LJA’s student body increased to 750 students, and in June of that year, LJA proudly graduated its first 47 students. LJA began work on the next phase of its expansion in February 2007. Enhancements included the construction of 18 new classrooms, a Middle and High School library, and a 500-seat gymnasium. 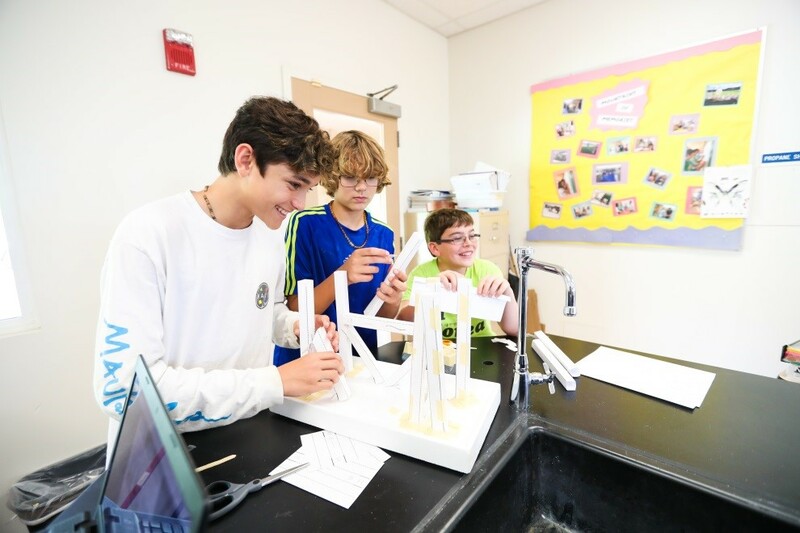 During this time of incredible physical development, LJA was also in the process of developing its program by adopting the International Baccalaureate methodology of teaching and assessment. In December 2009, LJA was authorized in the Primary Years Program, followed by the Middle Years Program in January 2010, and finally the Diploma Program in March 2011. 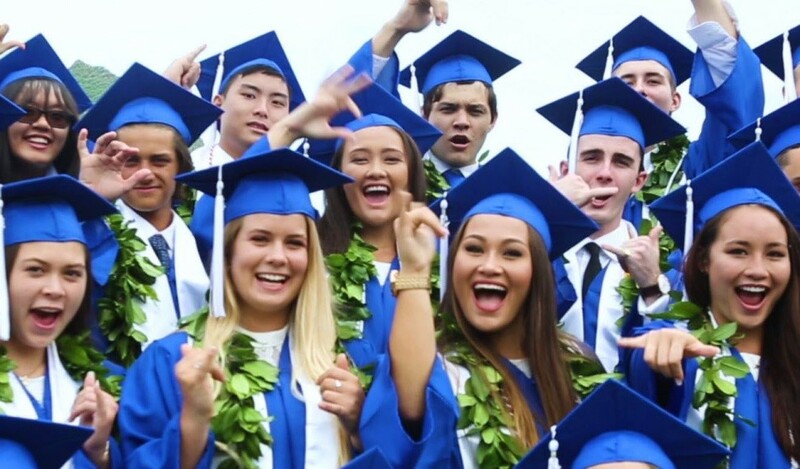 LJA became the first school in the State of Hawaii, and one of only 12 schools in the United States, to be authorized for the entire International Baccalaureate continuum, and to offer all three programs to all students from PK to 12th grade. 800 students from Preschool to Grade 12. LJA seeks a Head of School who will be an inspiring, dynamic, and collaborative leader within the framework of the school’s mission and strategic plan. 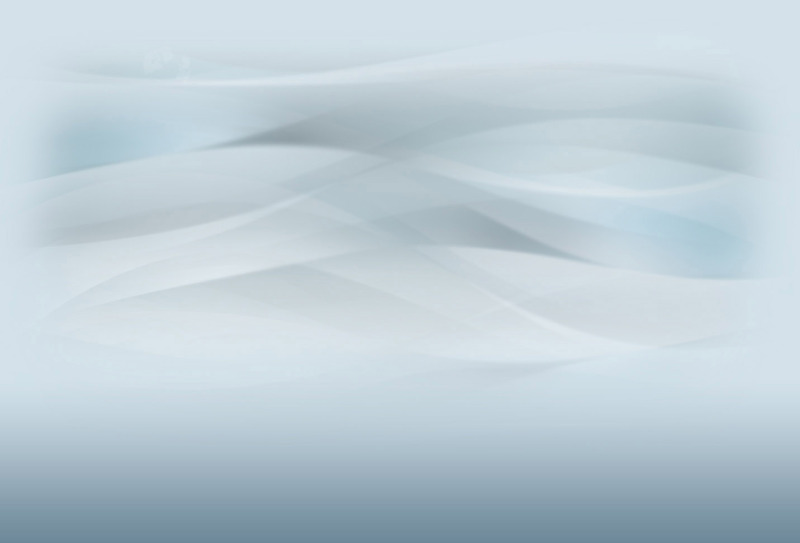 The compensation package will be competitive and commensurate with the candidate’s experience and qualifications. The Board of Directors has appointed Search Associates as its partner in its search for a Head of School, with Dr. Gunther Brandt serving as the lead consultant. The deadline for applications for the position is APRIL 15, 2019. Candidates are asked to submit a letter of interest and the requested materials listed below as early as possible as the Search Committee reserves the right to close the selection process at any time if the right candidate is identified. The review of files will begin as soon as applications are received. Finalists will be selected by the Search Committee and at least three finalists will be identified. Finalist candidates together with their spouse (if applicable) will be invited to Hawaii to meet with the Board of Directors, visit the school and meet with faculty, non-teaching staff, parents, students and administrators. The new Head of School will be selected at the conclusion of the site visit, final interviews, and reference checks. The new Head of School will assume his/her professional responsibilities in July 2020. A letter of application, explaining your strengths as a candidate and why you are interested in the Head of School position at the Le Jardin Academy. Total document size should be kept to less than four (4) MB if possible. Applications should be sent to: gbrandt@searchassociates.com and bmutsch@searchassociates.com .